The weekend of January 20-22 was one of great emotion and energy. 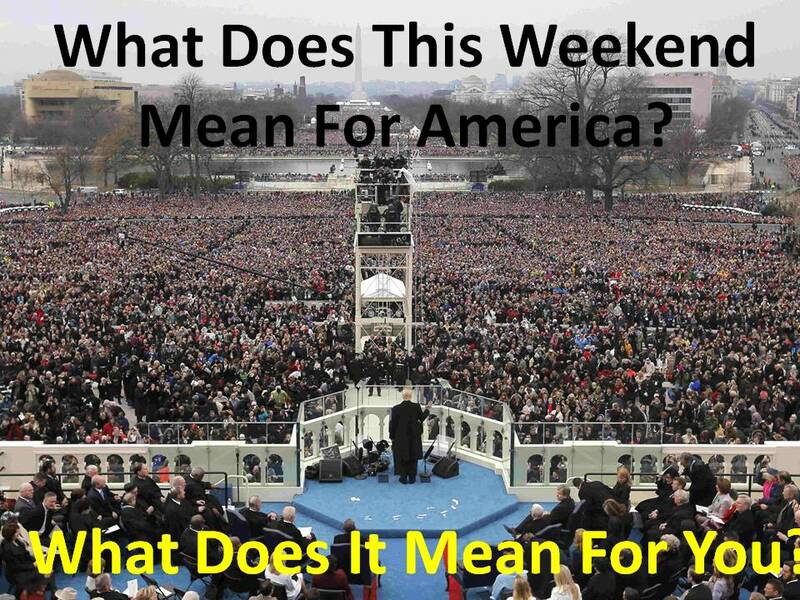 On Friday the 20th, hundreds of thousands of people gathered on the mall in Washington DC , and far more turned on their TV’s, to celebrate the inauguration of Donald Trump as the 45th president of the United States of America. And on the following day hundreds of thousands of people marched in cities throughout the land to make a completely different statement. Both groups are sincere, engaged, and care deeply about this nation, and both are deeply worried about its direction. This week I reflect on the shared passion and conflicting views and on what this means for the country, for me…and maybe for you. After much handwringing I joined the march in Atlanta. It was pouring with rain that morning and I had real doubts about whether to go through with it, but in the end Beth and I put on our raincoats, pulled down our hats, and caught the train into town. We parted ways to march with different groups, and I arrived, alone, a little early at my meeting point. I ducked into a crowded sandwich shop, shook myself dry, and stared out of the window as I stood and ate my sub. Every few moments I saw a group of people walking by the window, many holding placards, most inadequately dressed for the weather, and all headed for the start of the march at the Center or Civil and Human Rights. I found myself profoundly moved, at times overwhelmed: this was something real, something important. 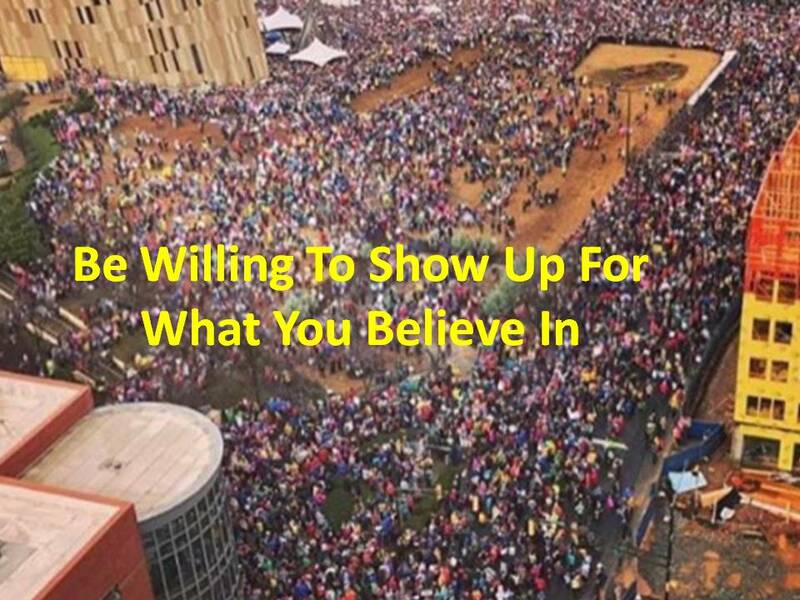 People cared and were showing up in large numbers for something in which they believed. They were showing up to make a difference. I realized, in that moment, that this is what it must have felt like to have attended rallies to support Trump or Sanders or Clinton. To care about something. To show up not knowing what to expect and to find thousands, maybe tens of thousands who share your vision. To be part of the energy to make a difference. Those attending the inauguration the previous day must have experienced a similar feeling. I was joining this march to support my friends, and beyond my friends to be a physical presence standing up for civil rights. I was honoring the kara I wear on my wrist and defending the rights of others. President Trump said many things during his election campaign and continues to say many things that lead me to worry about civil and human rights during the next four years; and he has nominated for his cabinet many individuals whose history in that area deepens that concern. I was attending the march to be counted as one of many people in this country who care about treating all human beings with equal dignity and respect, and affording all Americans equal rights to education, healthcare, livelihood, and a happy life. The crowd was so large that by the time the middle of the march (where I was) reached the Capital, the speeches were already well advanced. And I couldn’t get close enough to hear anyway. But I understand one of the speakers (Aisha Yaqoob) invited the marchers to take an oath. To the surprise of many – including Beth who was there to hear it – she asked everyone to hold up their right hand and repeat after her the Presidential Oath of Office. I marched for the rights of others. I marched to support the Bill of Rights and the Constitution of the United States of America. I vow to preserve them. I also marched to support my black friends, my Muslim friends, and my female friends, many of whom are scared right now. Whether they have grounds to be scared or not is not the issue here: they are, and none of us can simply wish that away. It is important to me that I am with my friends in this, their time of need. Of course there was the rain. That was a big de-motivator. But actually, if I am to be honest, the weather was never going to stop me. The following day, in a small group discussion, someone spoke of the people who showed up at marches around America to “protest Trump”. I made it clear that I am not one of those people. In fact, I was quite concerned about participating in the march because I was aware that many would see it that way, whether participants, supporters, or otherwise. I not only don’t want to be associated with that idea, I find it a difficult and dangerous idea and don’t want to do anything that would give it wings. I’m sorry, but he is not: Donald John Trump is. At the culmination of the usual lengthy primary and campaign process, an election was held in which, in accordance with the laws of the land and the Constitution of the United States of America, Mr. Trump was presented to the electoral college, which in turn elected him President. This process, established by the Constitution and refined by Federal and State legislation and Constitutional evolution over the last 230 years, is the way it works. You may not like Trump, you may wish he had never run for office, but if you are an American citizen, Donald Trump is your president. Protesting against him as an individual is not only unhelpful, it is counter-productive, for it divides and it is a voice that can’t and won’t accomplish anything. One of the most common of the chants during the march – a chant in which I participated – was “Tell me what democracy looks like….This is what democracy looks like.” Donald Trump was elected president of the United States of America by the very democratic process that the vast majority of Americans who don’t like this outcome support. The recourse those people have is to that very democratic process. And for those of us who would like to stand above the fray of liking or not liking Trump, we rest on the saying of Mahatma Gandhi, “Hate the sin, but love the sinner. (Fyi while writing this I came across a really wonderful article by Ken Collins entitled Hate the Sin, but Love the Sinner which I recommend; it is most insightful and a true light to guide us. It is popular in the press and many of the circles in which I spend time to disparage Trump’s inauguration speech. It certainly set a dark tone, and the spirit of isolationism was troublesome, but I found many reassuring elements. The first was the very limited use of “I”, “me”, “mine”. President Trump only said “I” four times in the speech, and the last two of those he said, “I will fight for you with every breath in my body. And I will never, ever let you down.” And he did not make use of me, my or mine at all. It may be a small thing, but I find it encouraging, particularly given all of the rhetoric about his thin skin and large ego. Yes, much of what Trump has said and done in the past may conflict with these statements, but I choose, as Ronald Reagan said (ironically using an old Russian phrase in the context of old war nuclear arms negotiations), to “Trust but verify”. And I will also continue to act and engage politically and socially to firmly support civil and social rights, and to visibly be present to support minorities and those who feel intimidated, unwanted or oppressed. One of the obvious reasons to be cautious of Trump’s comments in his inauguration speech is his perspective of truth. His comments about the size of the crowd at his address, his repeated declarations that the press are all liars (not that some aren’t! ), and his oft-demonstrated revisionist history all misrepresent facts. I’d suggest, though, that while this is deeply troublesome, it is not new: we have been moving into a post-fact age now for many years: the volume of re-postings of untrue statements as fact on facebook has been growing for a decade. Yes, this might accelerate that trend and give it a new visibility, but it is something that we, perhaps out of complacency, have allowed to arise. We can’t blame Trump, but rather need to shoulder some responsibility ourselves. I don’t think I am being naive: I see a very dark side to Trump, and I wish he were not our president. His cabinet is the first since 1988 to have no Latino, and all Americans other than non-white-straight-men are dramatically underrepresented. Apart from the lack of voice, this is a very visible and offensive statement to those who are not straight, white men, and also guarantees a lack of breadth and diversity of thought in Trump’s decision-making process. And Trump appears to have disregard not just for the institutions of US government, but for the laws and constitution. There is a great deal here to scare a supporter of civil and human rights, and even more to scare minorities. 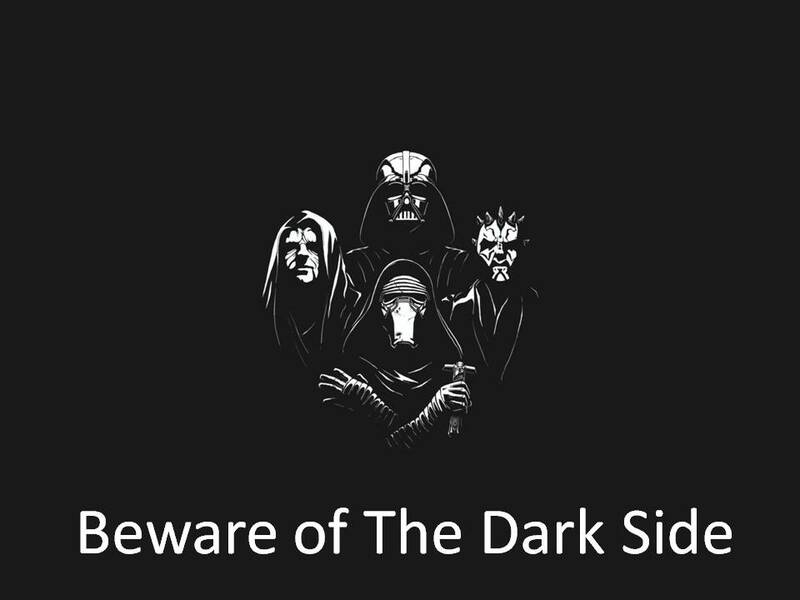 And for those who would act to ensure their fears are not realized, but rather the rights of others are upheld, there is also a dark side to the march. He’s right; he doesn’t have to care. I am immediately depressed. Cell phone towers have been overwhelmed, and I haven’t been able to check the news for hours. My bones are cold. I walk home and turn on the television in time to see a split screen of Madonna dancing about feminism and a massive crowd shot from above, in Boston. The screen flickers. Now it’s a crowd in Chicago. Seconds later, New York City is onscreen. Austin, Texas. Mexico City. There must be millions of people marching today. Where were we in November? Where will we be tomorrow? The country I want to live in welcomes all Americans. African Americans, Latinos, Muslims and women must all feel safe and valued. The poor and the marginalized must feel included. This is a country I am willing to fight for, but right now it is not what we have. I was struck at the march on Saturday that the overwhelming majority of the crowd was middle-class and white. I saw only a couple of Latinos and Asian Americans, and no covered women. This is deeply troubling to me. This is not the American in which I want to live. And when all is said and done, it is to support the inclusion and full participation of all, and to demonstrate my solidarity with the marginalized, the minority, and the scared, that I marched on Saturday. It is to support the America in which I want to live. It was really encouraging to see how many people on Saturday feel the same way that I do. It is for this that I marched on Saturday, and it is for this that I will continue to march, continue to show up, and continue to write. I hope you will too. Nice piece, Gareth. I enjoyed your sense of balance and place when recounting the Women’s March – that I attended in Atlanta as well. I was moved to be part of the resistance to intolerance, racism, misogyny and exploitation of the marginalized in our society and of our environment. We met at a couple of Second Helpings events (most recently the volunteer appreciation dinner) and upon doing a little background research on the organization, I came across your website. Your spiritual interfaith study and background in Buddhism is intriguing, and I will look forward to following your newsletter – or possibly your social media posts to learn more. Thanks, Beth, for your delightful comments, and also for the great work you do for Second Helpings. The most recent event was just wonderful and I know we largely have you and Diane to thank for that!